In this review, we are going look at the features of the Usha Techne Direct 1000-Watts Garment Steamer so we can see whether or not it can work well for your household. Furthermore, we are going to look at an overview of what customers who have purchased and used this item have to say about this garment steamer. After this, we are going to provide you our recommendation about this product and whether or not you should get this for your own home. For individuals who are looking for a fast and easy way to remove the wrinkles and creases on their clothing, the Usha Techne Direct 1000-Watts Garment Steamer is a great choice. It comes with features that can minimize the time needed for you to make your clothes look fresh as opposed to using a traditional iron. The Usha Techne Direct 1000-Watts Garment Steamer has a steam output of 21 gm/min so you can be assured that the wrinkles from your clothes will be removed. The steam relaxes the fibers of your garments so the wrinkles will be gone in a matter of minutes. Since this garment steamer has a vertical steam facility, you can simply hang your clothes when using it. 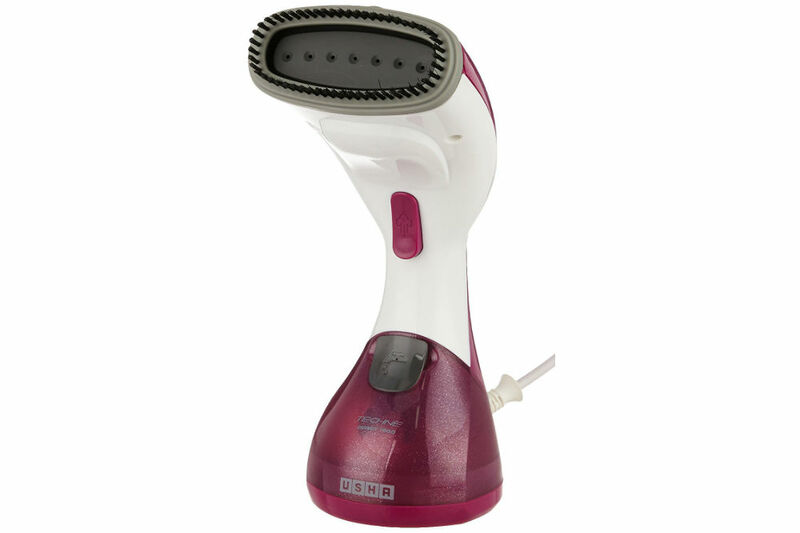 Simply glide the Usha Techne Direct 1000-Watts Garment Steamer across your clothes to remove the wrinkles in no time. 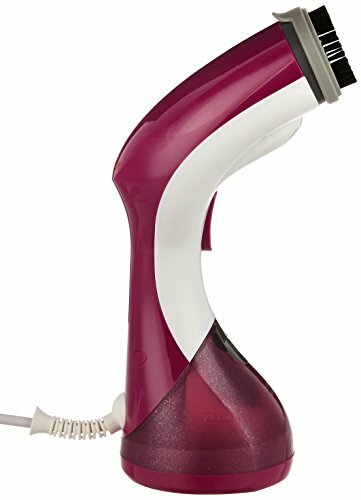 This garment steamer also comes with a detachable fabric brush with lint remover so you can easily remove and lint that is stuck on your clothes. No need to use a different lint remover since this garment steamer can remove lint while also removing the creases from your clothes. What makes this garment steamer safe to use is its overheat shutoff thermostat feature. It will automatically turn off when reaching a specific heat level to prevent you from hurting yourself while using this appliance. It also comes with an indicator lamp that shows you whether this device is turned on or off. For those who travel a lot or need to go on business trips, this garment steamer is small enough to bring along. You can take it with you everywhere so you can freshen up your clothes anytime. Upon looking at the reviews, we found out that 63% of users gave 4 and 5-star ratings for the Usha Techne Direct 1000-Watts Garment Steamer. They said they liked how the Usha Techne Direct 1000-Watts Garment Steamer was able to work for them and how they were able to use it easily to remove wrinkles and creases from their clothes in a matter of minutes. One of the things that they like was that they were able to use this on their clothes that are made with delicate fabrics like silk, satin, lace, and chiffon. As compared to ironing which can burn delicate clothing, this garment steamer can remove the wrinkles without worrying about damaging their clothes. Another advantage that users found with the Usha Techne Direct 1000-Watts Garment Steamer are that it was small enough to be brought along during their business trips and when going on a vacation. So what does the other 37% of users who gave a three-star rating and below have to say? The most common problem that users found with this product is that it is mainly meant for softer and lighter fabrics. Clothes that are made with thicker materials like cotton and wool take a longer time to remove the wrinkles and creases in them. Another problem is that the Usha Techne Direct 1000-Watts Garment Steamer kept on emitting steam without the user being able to control it. This is why some users found their clothes having wet spots after steaming and had to wait for these spots to dry. Other customers who disapproved of this product stated that they received a defective product which is why they were not able to use theirs. Upon looking at the features of the Usha Techne Direct 1000-Watts Garment Steamer and what the customers have to say about it, we can say that this is a great addition to your household. This garment steamer is something useful if you are looking for a fast way to remove the wrinkles from your clothes that are made with delicate fabric. Also, you can use this garment steamer anytime you need to freshen up your clothes and remove lint on any piece of fabric.